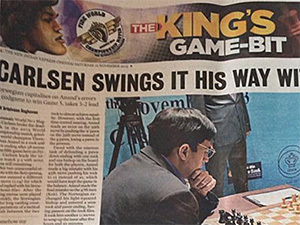 11/4/2014 – In the first match between Vishy Anand and Magnus Carlsen for the World title Carlsen clearly won 6.5:3.5. But does that also make him the favorite in their second match that will begin 7. November? To find out more about the mindset of Anand and Carlsen before their second match Sagar Shah took a look at the year between the two matches. 2/14/2014 – This dramatic event that took place in south India last November and attracted visitors from all over the world. 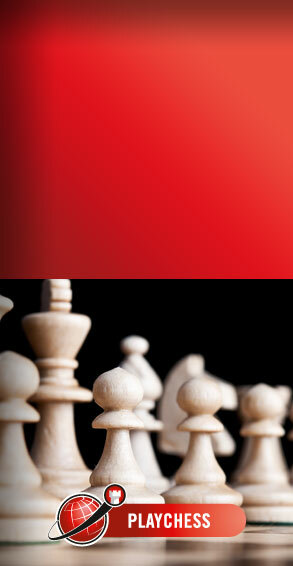 In the tournament hotel we encountered two chess playing barristers from London, who were clearly enjoying their stay. We asked them to write up their impressions, which they duly did, giving us a picture of the World Championship as experienced by seasoned chess tourists. 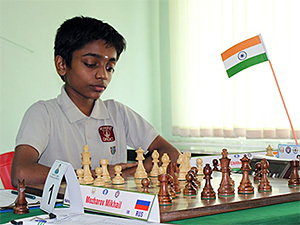 12/17/2013 – The tournaments that comprised the small circuit to celebrate the World Chess Championship in India have come to an end. 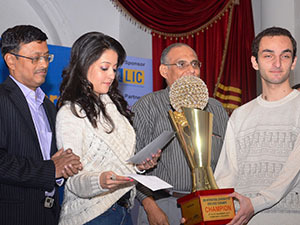 The last leg, held in Kolkata, finished with a triumph by Armenian GM Ter Sahakyan. IM Mozharov was able to score a GM norm in every tournament in the circuit! Many norms were earned by locals. Tournament report by Professor Anantharam. 12/15/2013 – One of the daily attractions of the World Championship in Chennai last November was the problem and study contests that were held in the hotel lobby during every round. Scores of competent, enthusiastic and highly motivated solvers participated. The organiser of the solving contest, C.G.S. Narayanan, kindly sent us a set for our readers to solve. You have 90 minutes to do so. 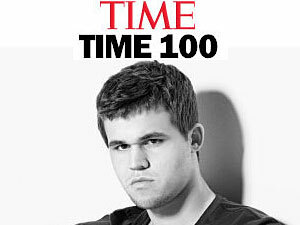 12/3/2013 – It's ten days since Magnus Carlsen snatched the most valuable title from India's Viswanathan Anand. There are literally hundreds of reports in the international press – and a number of remarkable interviews with the players. In case you missed them we bring you a selection, with titles like "My turn to teach Anand now" and speculation on the super-secret men who helped Magnus. 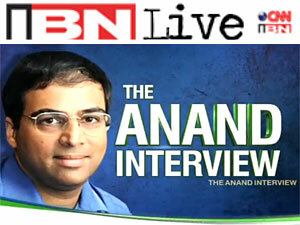 12/1/2013 – After a number of interviews by Magnus Carlsen, it was now the turn of now former World Champion Vishy Anand. In an extraordinarily frank and candid interview, conducted a week after his defeat at the hands of the Norwegian, Anand describes his opponent, the course of the match, his thoughts on retirement (spoiler: he's not going to!) and life after five world titles. Video and text transcript. 11/27/2013 – With the world championship match over, a variety of experts are beginning to weigh in on the match, what happened and why. 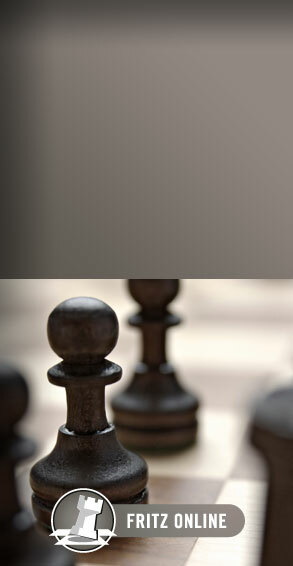 The most prominent of the pundits is the irrepressible Garry Kasparov who published his personal summary on the match and Magnus Carlsen in Time Magazine. 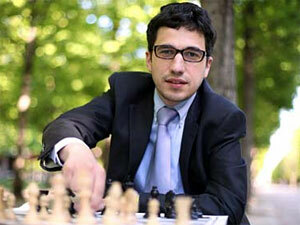 However other grandmasters such as Giri, Short, and King, have also given their expert analysis of the match. 11/25/2013 – With a couple of days to rest and recover, before the closing ceremony, Magnus Carlsen chose to indulge in his favorite activities such as some basketball and football. A gymnasium was reserved and he challenged a team of journalists to face his team of Norwegians. Finally, the day came for the players to receive their medals, trophies, and checks. Large pictorial report. 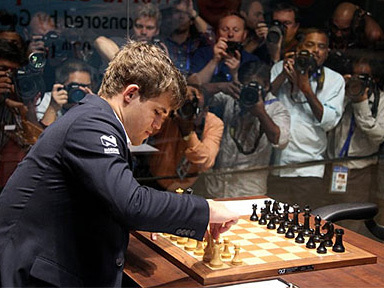 11/25/2013 – While Magnus Carlsen’s victory is a victory for youth, with his numerous records in precociousness, it is unfair and incorrect to suggest that excellence and success are the exclusive domain of the young. As a follow-up to our look at the wonders of those in the springtime of life, here is a list of the players for whom age is just a number, and each wrinkle is but a battle scar. 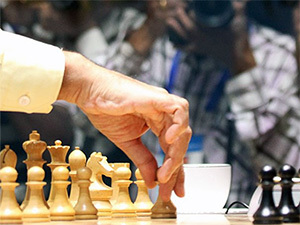 11/24/2013 – As would be expected, the news of the result of the Anand-Carlsen world championship match and the new title-holder circumnavigated the globe like wildfire, and media around the world has reported on it. 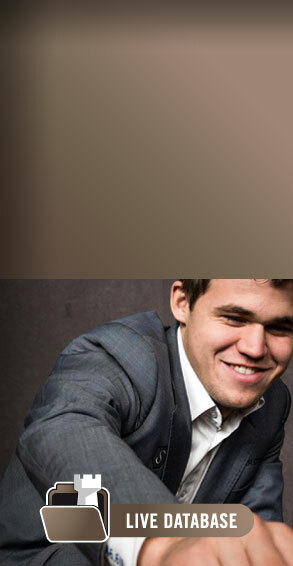 The focus has clearly been on Magnus Carlsen, who is described as the "Justin Bieber of chess" or "a cross between a boxer and a 50s gangster". Here is a sample of the stories and headlines. 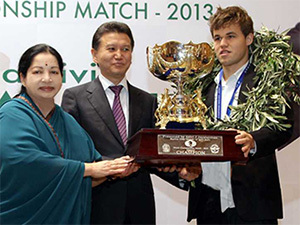 11/23/2013 – Magnus Carlsen is the new world chess champion, having defeated the titleholder Vishy Anand of India in ten games with the score 6.5-3.5. The 22-year old Norwegian grandmaster has now won everything there is to win in chess. 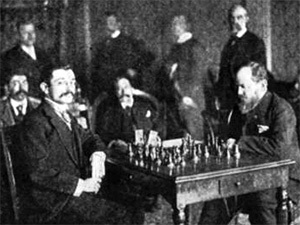 Huffington Post columnist GM Lubomir Kavalek comments on the course of the Championship and the Berlin Defense that played a critical role. 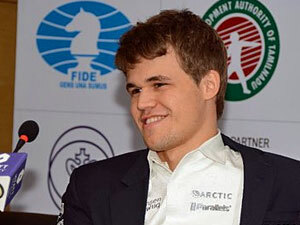 Magnus Carlsen is the new World Champion! 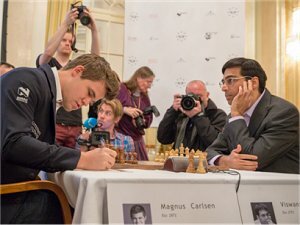 11/22/2013 – There seemed little doubt a real game would be played today, with Magnus the consummate player, and Anand unwilling to disappoint his fans for not trying. They played a hedgehog, and a long battle ensued, culminating in in a fascinating knight endgame Magnus might have won. After they finally drew, a new king was crowned. Long live the king. 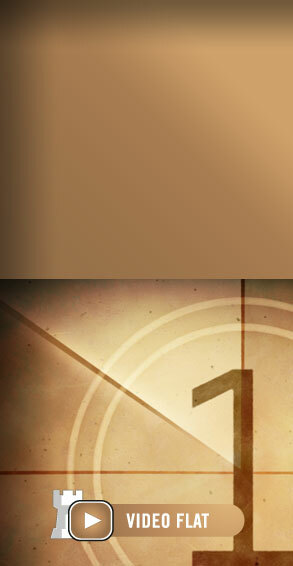 Illustrated report with celebratory video. 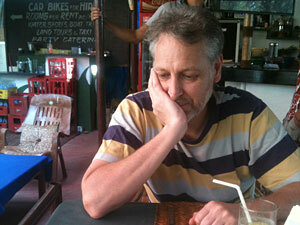 11/22/2013 – The chess match is nearing its end and we are set to leave the south Indian city that is hosting it. 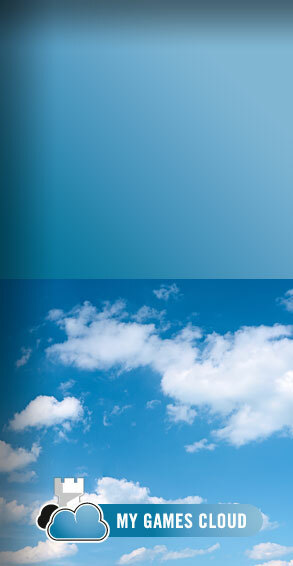 The stay was very interesting and as promised we will be providing you with impressions around and outside the event. On one of the free days ChessBase editor Frederic Friedel accompanied two young chess ladies on a shopping tour and visited a famous temple in the city. Big pictorial report. 11/21/2013 – It was everything the chess fans hoped for, no matter who they supported: a sharp battle with Anand all guns ablaze. Carlsen admitted this was the first time he risked being mated in the match, and the position could not have been more exciting. With computer precision he found all the defensive moves, and a final slip by Anand left him half a point from the title. 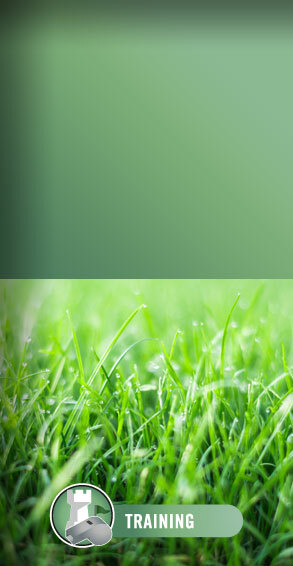 Large illustrated report. 11/20/2013 – The World Championship press room is filled with journalists from all parts of India, and they are filing reports in a dozen different languages. 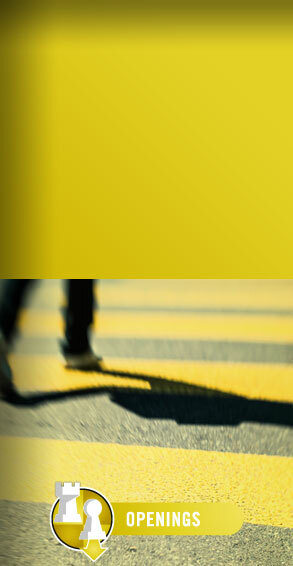 The main Indian language is Hindi, spoken by over four hundred million people. 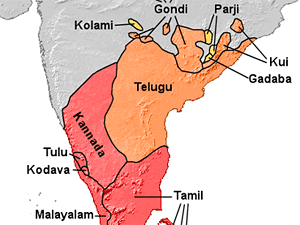 But Chennai is in the middle of the Dravidian language family that is less closely related to Hindi than, let us say, Norwegian (both Indo-Aryan languages). We thought we would give you an impression of the local dialects.